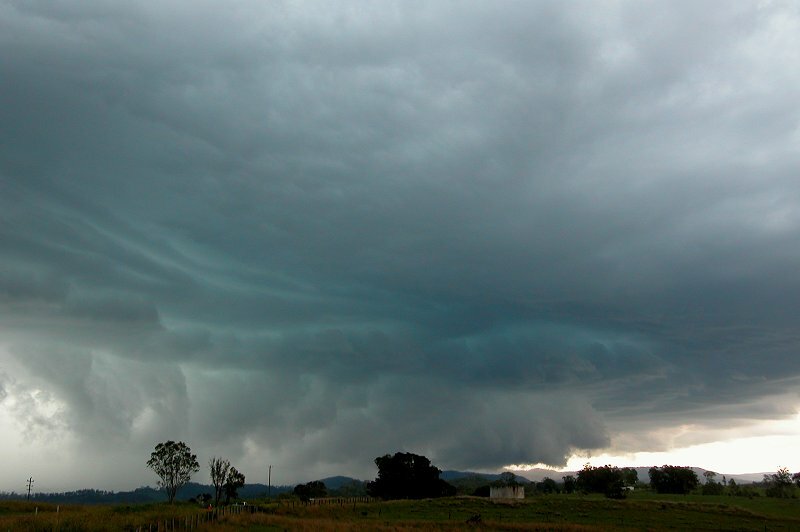 Today was the beginning of what would be an amazing nine day long outbreak of storms in the Northern Rivers. 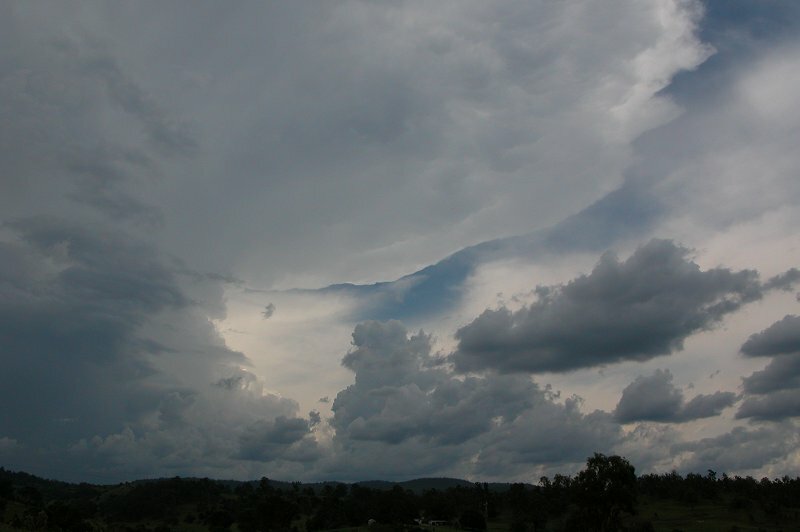 Storms weren't actually forecast for the Northern Rivers, however there was some instability present over the Northern Tablelands. 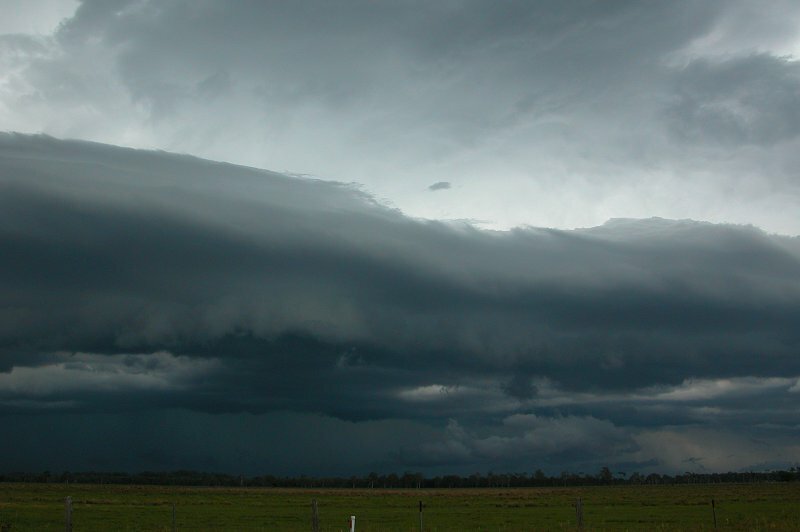 Activity kicked off down towards Sydney around noon and eventually spread north along the ranges. 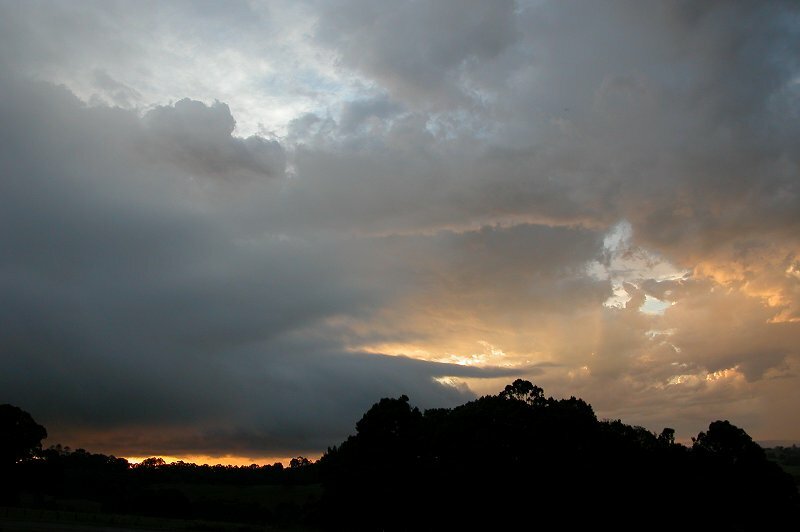 By sunset, weak storms were going up along the Northern Tablelands. 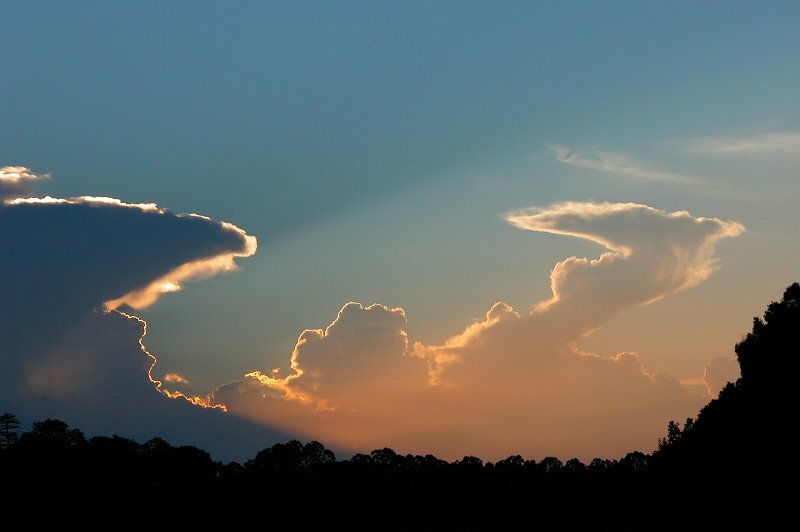 With the lowered sun behind the storms, some beautiful crepuscular rays were observed. 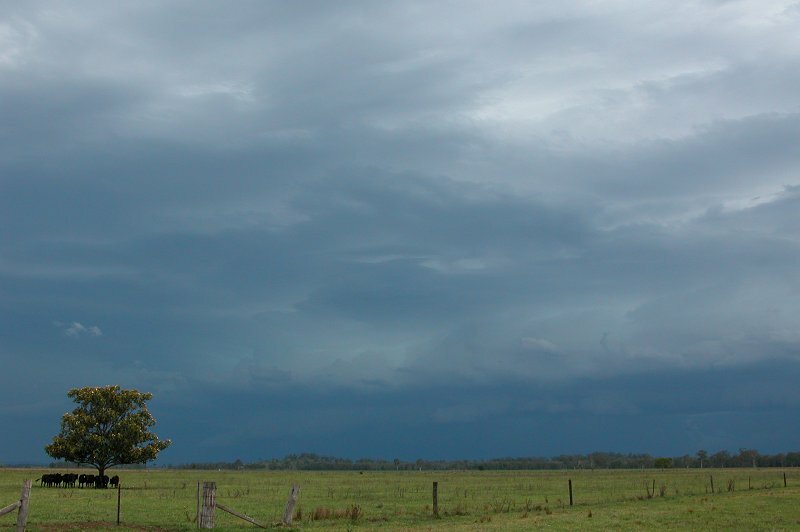 Once it grew dark, frequent lightning was visible in the cells to the west. 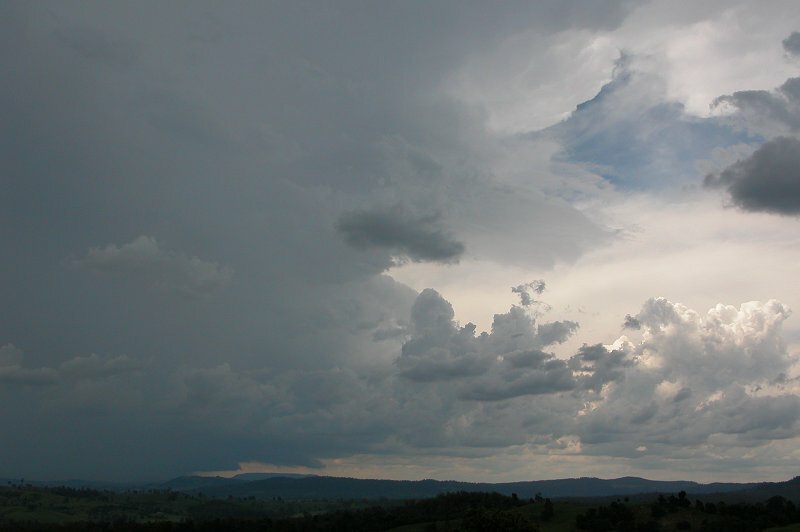 Storms had also began to develop right on the Northern Rivers/Northern Tablelands border. The frequent lightning and beautiful CGs were too much to refuse, so Michael Bath, Ray Mullens and myself set off towards Casino to get a little closer to the action. We watched some great CC and CG lightning looking west from just east of Casino, however the frequency of lightning had reduced a little. We watched for over an hour before deciding to head back home. We figured it was a 'test chase' to get us back into gear after a quiet few months as it looked like we were in for a stormy few days ahead! The models had tipped Friday as finally producing some worthwhile action in the Northern Rivers (at last!) from early in the week, however the shear forecasts had downgraded somewhat during the week, leaving ok mid and upper level shear, but weaker SE winds near the surface. The moisture profile wasn't ideal either with perhaps too much upper moisture, resulting in high cloud later in the day. 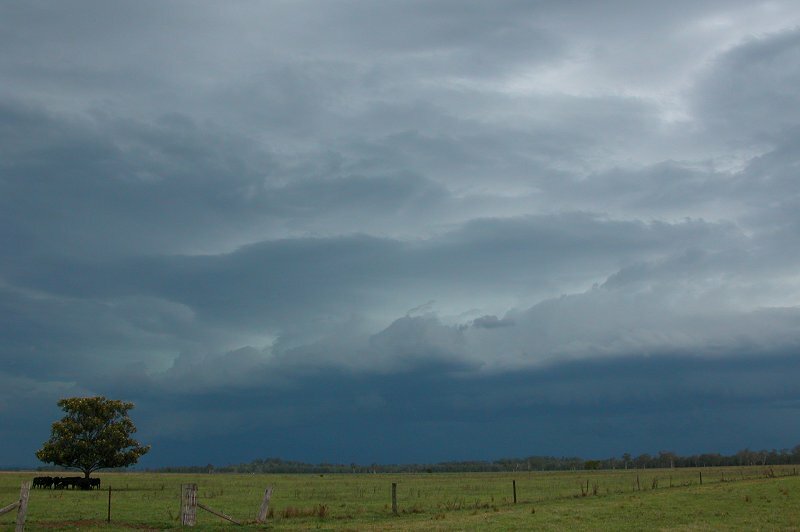 Despite this, with LIs forecast to be around -6 and Cape around 2000, severe storms did look quite possible, so Michael and I organised to chase after work. We left at around 2pm and headed straight for Mallanganee, west of Casino. 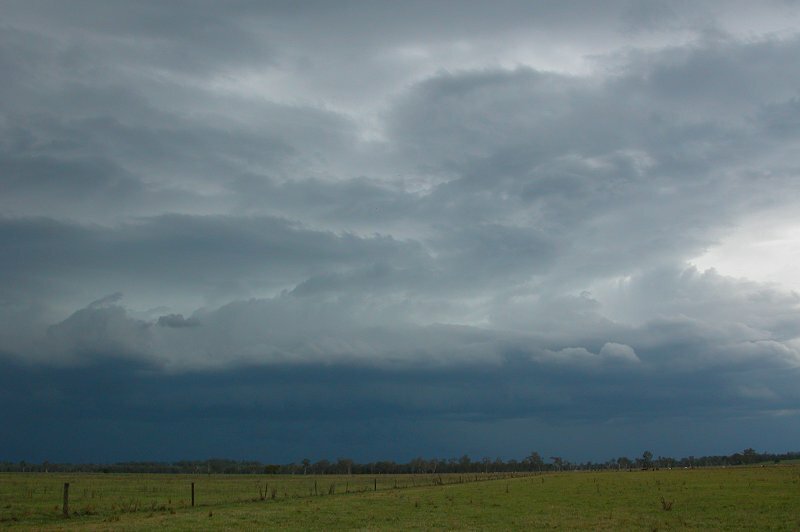 The trip out was a little discouraging with all the high cloud, but radar had shown storms along the ranges before we left, so we were confident something would happen. 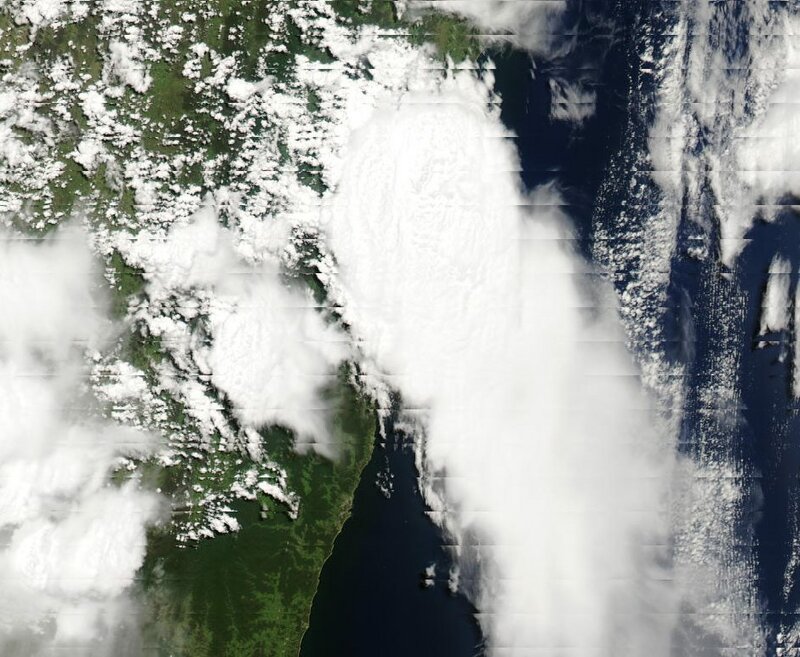 Between Casino and Mallanganee a gap in some low/mid level cloud revealed quite a nice solid anvil to our NW. 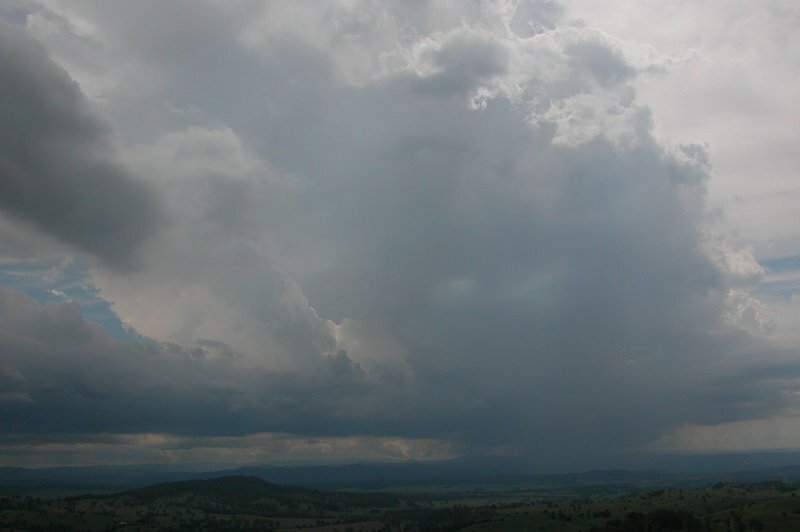 As we reached our target area on top of the Richmond Range, we received a radar update from Ray Mullens that confirmed there was a nice cell about 40km to NW but that it had started to head more NE than it's previous SE movement. 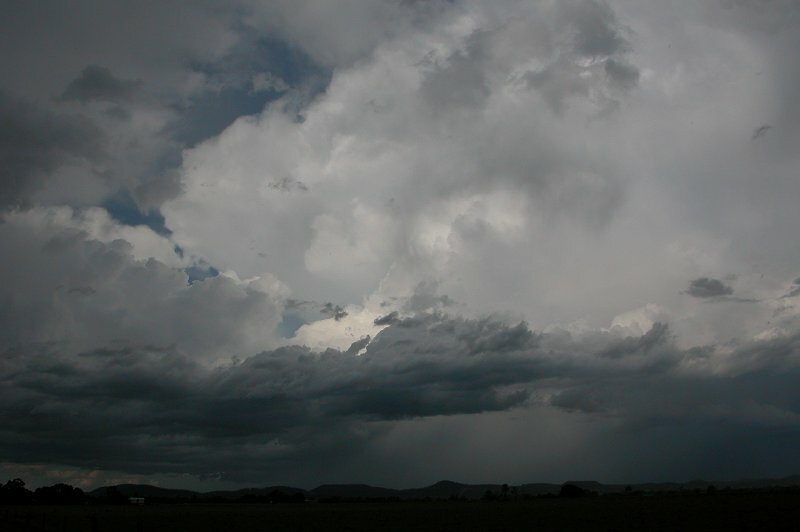 The cell appeared to have a gustfront and was producing regular bolts, well ahead of the storm. We enjoyed watching this until it decayed about 20mins later. 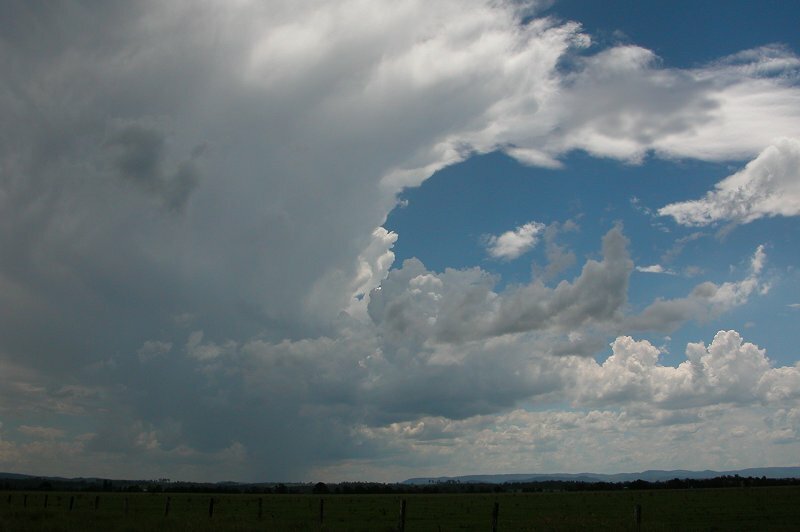 With a heap of cirrostratus now over us, plus an anvil from the cell to our NNW, we were left to wait for some time before more convection developed. 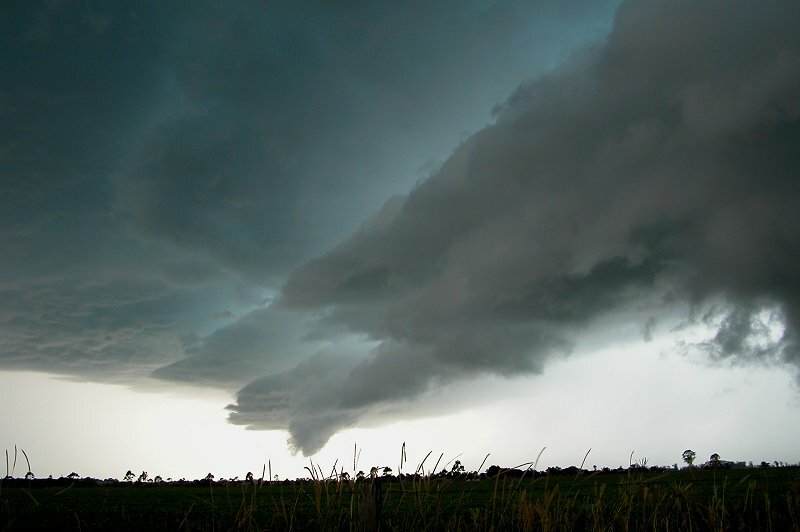 Around 3.45pm some messy looking cloud looked like it had produced some kind of little funnel. Out of amusement we took some photos of it. From then it began to grow into some nice congestus, so we headed to the Mallanganee lookout which would give us better views. 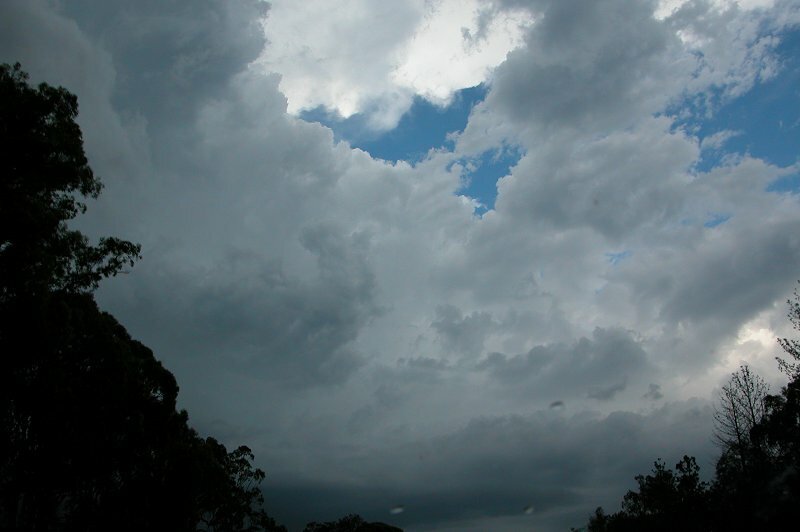 By 4.05 pm it was well on its way, producing its first rumble of thunder. 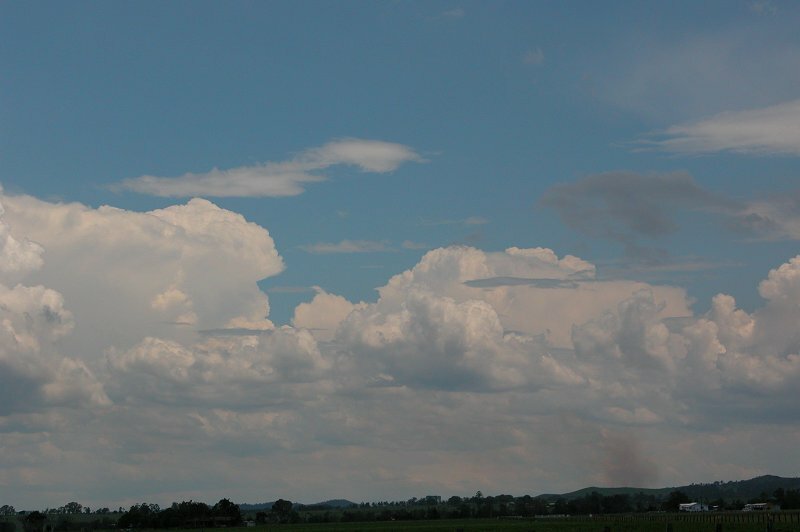 Some nice convection was also occurring further south which was quite enjoyable to watch. 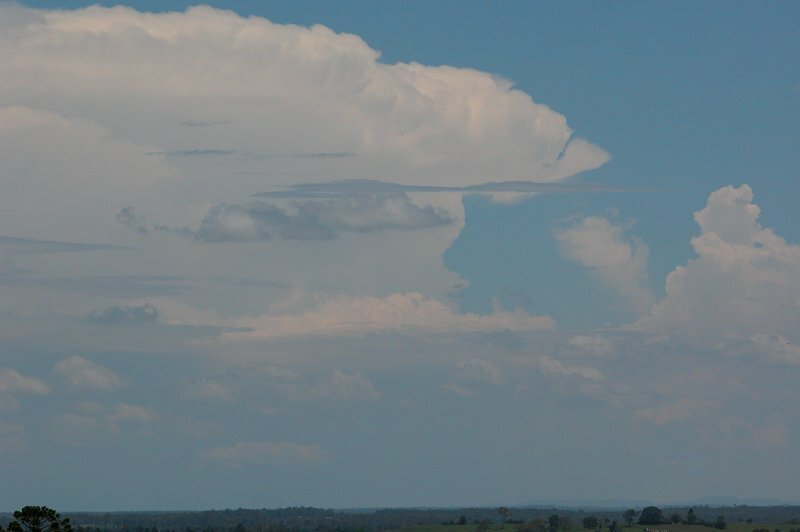 As the anvil on the cell to our west started to spread out, we considered intercept options and so headed towards Tabulum to get a little closer. 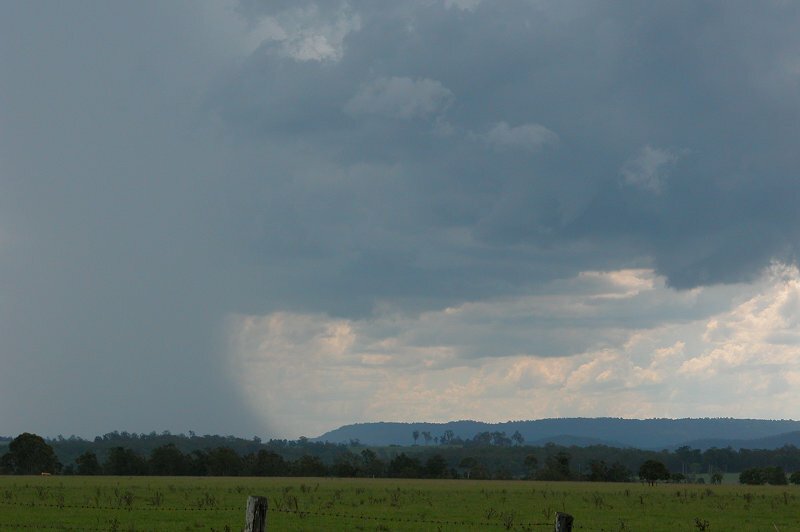 On the drive out it appeared the cell was heading SE....just what we didn't want! But we pressed on, spotting one nice CG which popped out of some messy looking cloud away from the storm's precipitation area. 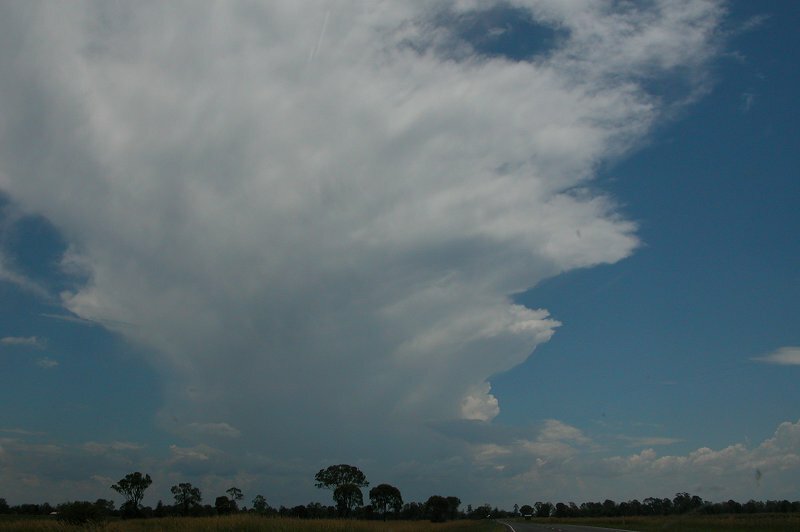 We stopped at Tabulum to observe the cell which was now south of us. 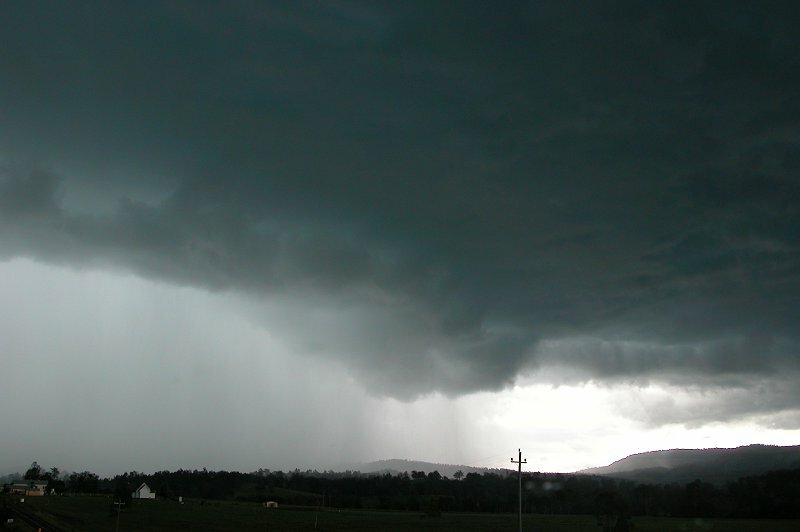 There was some nice cool outflow blowing out if it, which also kicked up a weakish looking guster. 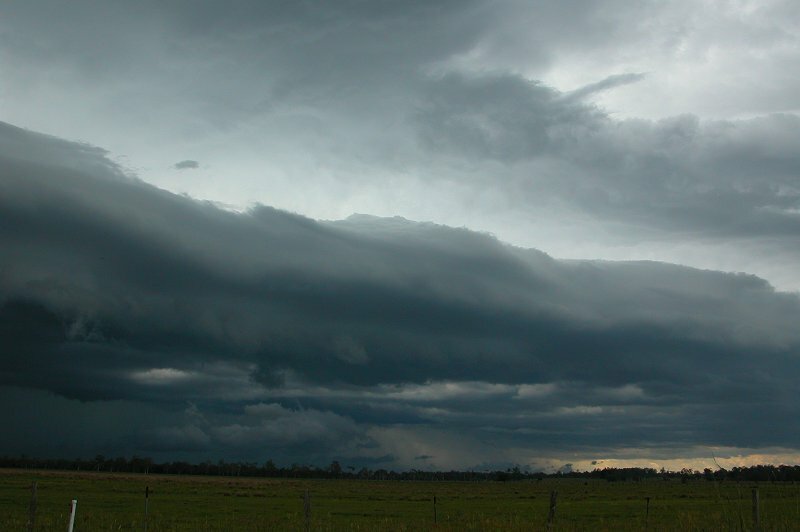 We decided to head back east and things got exciting from here....a line was beginning to form and was heading NE! 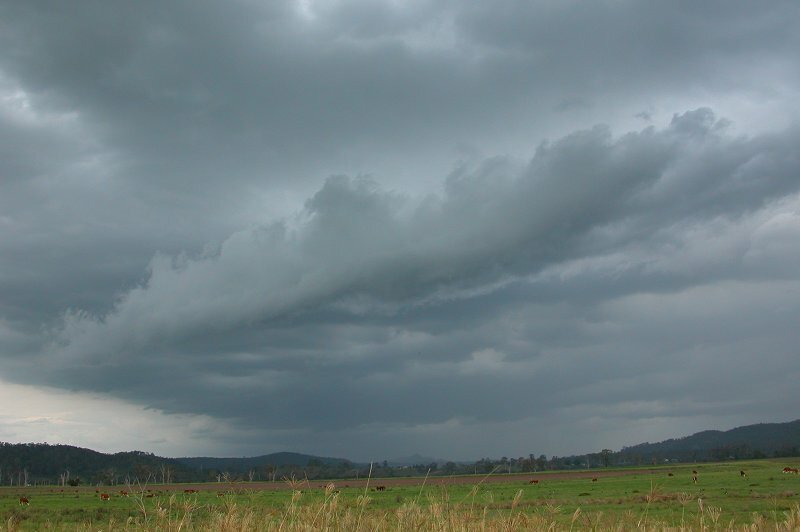 We stopped just west of the Mallanganee lookout to observe a nice scuddy lowering ahead of the precipitation curtain. CGs were now beginning to pop out everywhere - behind us, in front of us, north and south of us! We headed up to the Mallanganee lookout again (somewhat foolishly I guess given the CGs) to get some photos of the line. It was staring to look quite impressive. As the line got closer we drove down from the lookout to head into the rain area and see if there was any hail. It was just heavy rain and some gusty winds - so we headed back out of it (thanks to the slow moving nature of the storm) and shot east back to Casino to try and stay ahead of the line and enjoy what appeared to be a developing gustfront. We stopped near Mummulgum for some photos before continuing on. There was plenty of powerful CGs hitting everywhere, which made things that bit more exciting! We continued to Casino, stopping twice more for photos along the way. 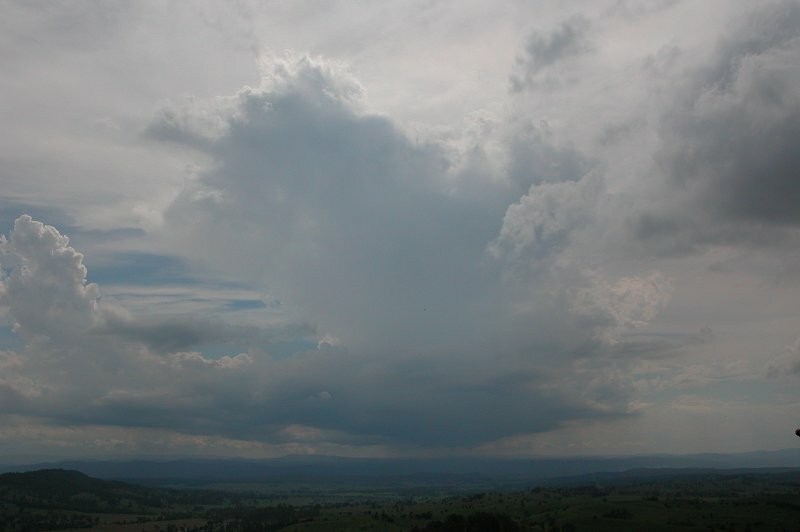 We then headed up the Summerland Way towards Kyogle, and could see a nice updraft region just ahead of us. 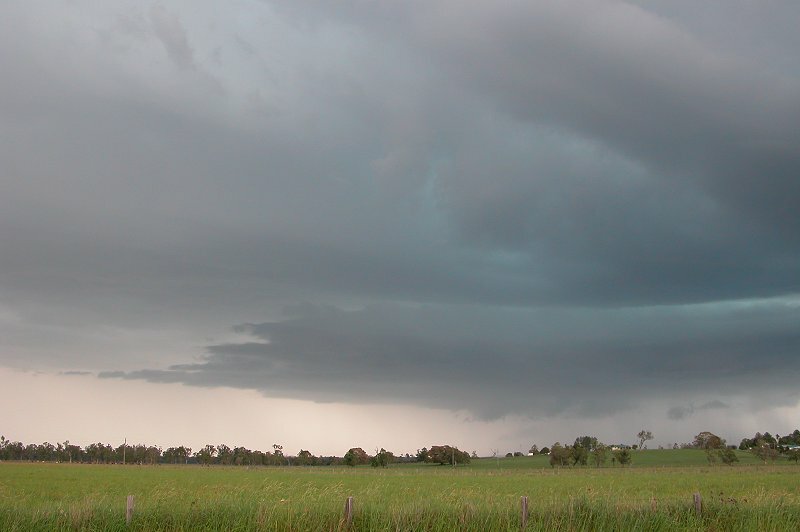 We stopped about 15km N of Casino at around 6.10pm to get photos and wait out the storm. 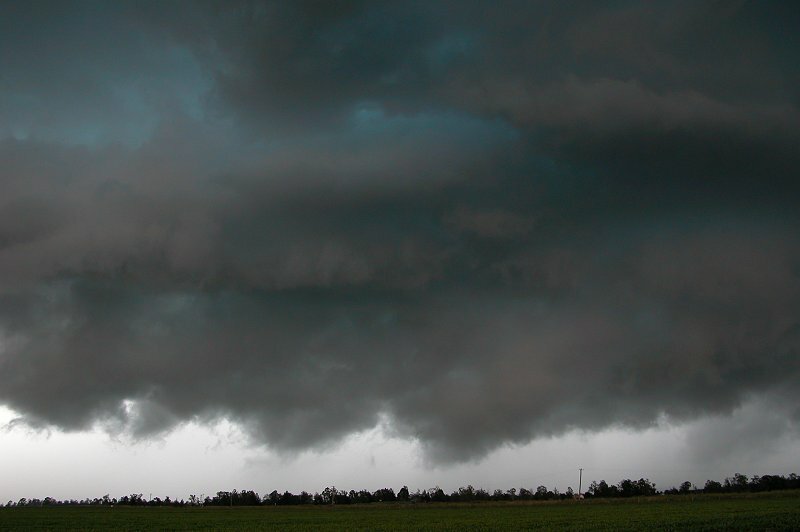 The gust front was quite mean looking in one spot. 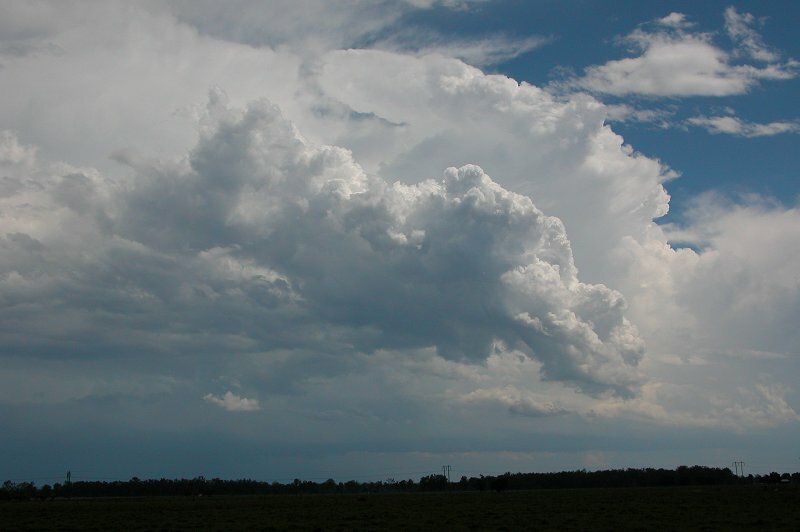 But the real nasty feature of the storm was the frequent pulsating CGs striking ahead of the guster in what appeared to be an updraft region ahead of the storm. They pulsated that much that I managed to catch three CGs with my still camera! The one displayed below shows the best of the three bolts captured! We then let the storm pass over the top of us. The precipitation was quite intense - very heavy rain obscured the road as we decided to head back to Casino in the heavy rain. There were some strong wind gusts, but not severe, and plenty of lightning activity! As we were driving we heard that familiar exciting sound....with excited faces we confirmed it was hail as more 'ding' sounds were heard on the roof! Hailstones were probably between 1cm and 2cm, and there wasn't a great amount of it. But it was good enough for us! We soon passed out of the storm and enjoyed some storm back end structure before grabbing some tea in Casino and heading home. 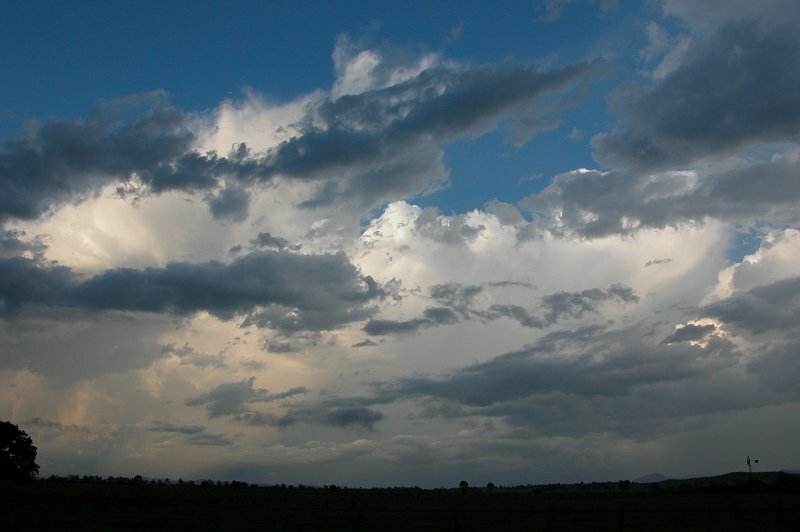 Further lightning active storms formed later that evening, but were mostly obscured by low cloud. How quickly an atmosphere changes! 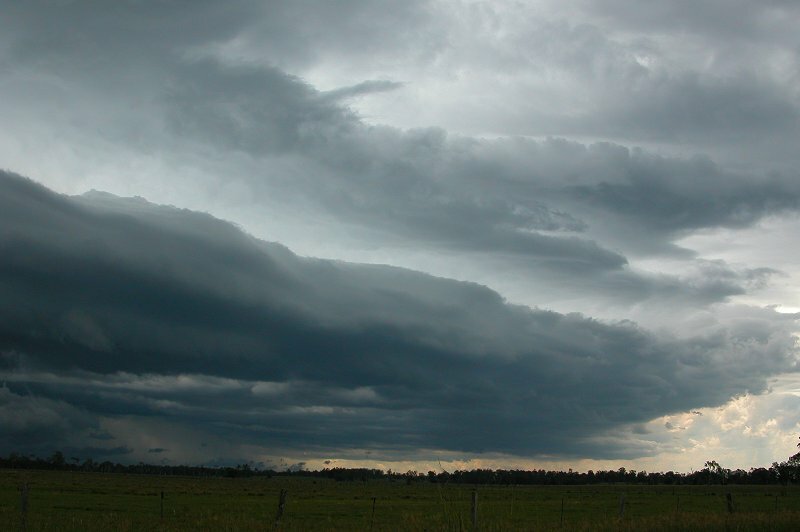 The trough had pushed further east and drier air had intruded in the mid and upper levels. 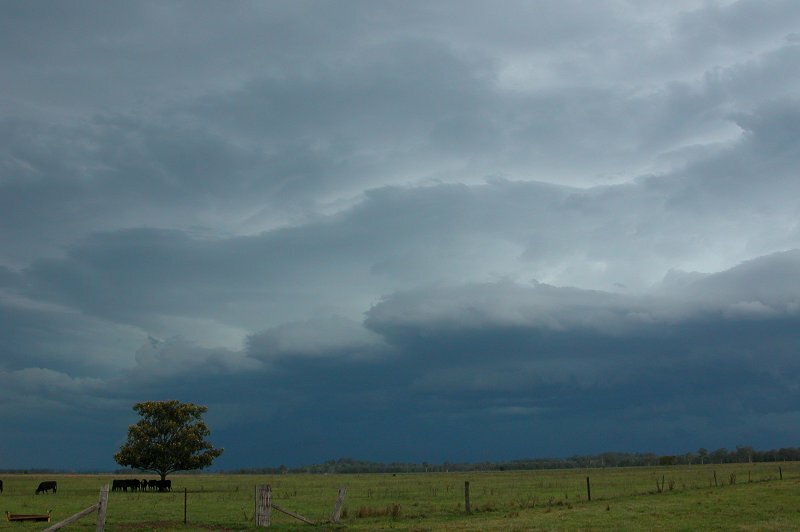 The setup looked great for strong updrafts and hail! Instability indices were less than the previous day, with LIs around -4 in coastal regions of the Northern Rivers. Overall the shear profile looked a little better than the day before, but low level winds were quite weak. 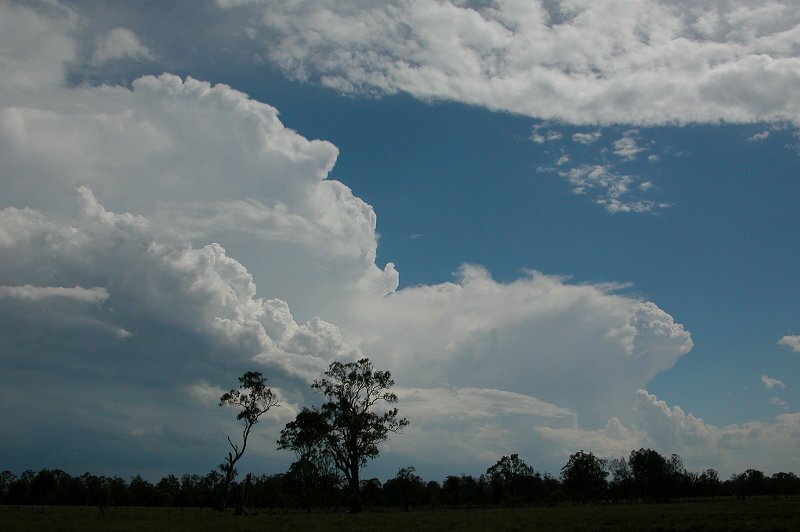 Storms once again looked quite likely, with some possibly severe. Michael and I headed off around 1pm towards Casino. 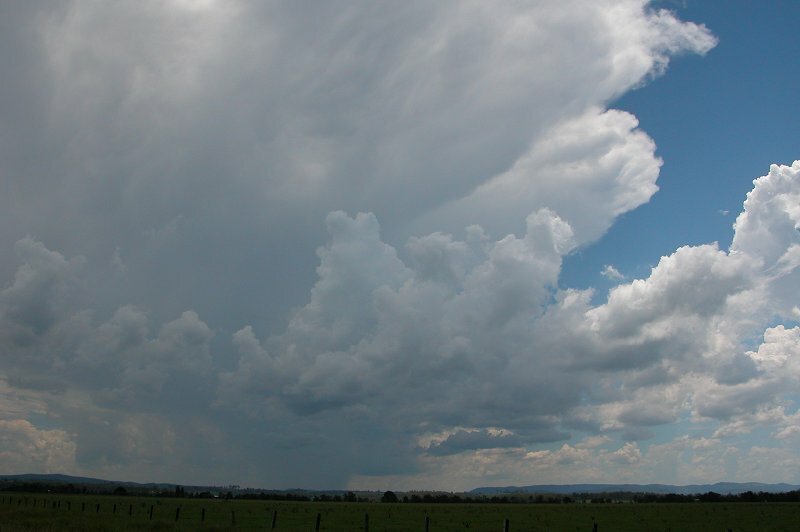 We stopped at Parrots Nest to observe activity to the south which had started at around 10am and was looking very nice, as well as a cell that had developed west of Casino. We stopped just a little N of Casino at 2.05pm to watch the activity for a while and decide what to do. 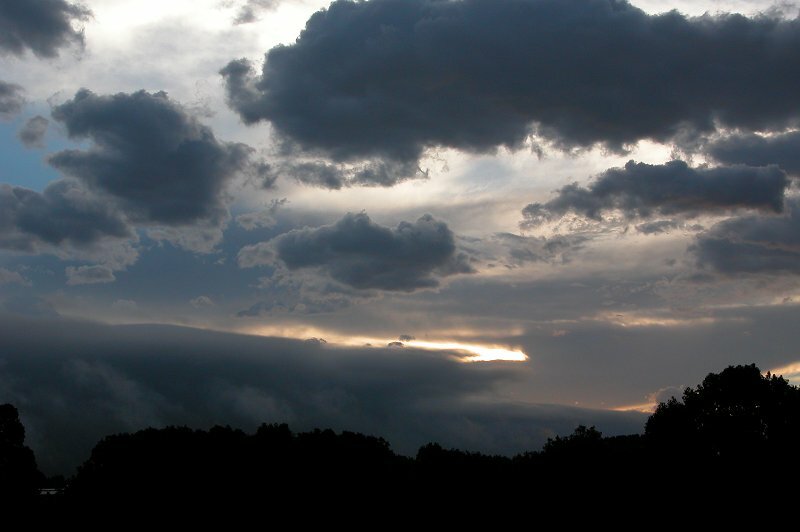 The cell to our west had a solid, diverging anvil and looked quite nice, but was moving very slowly. 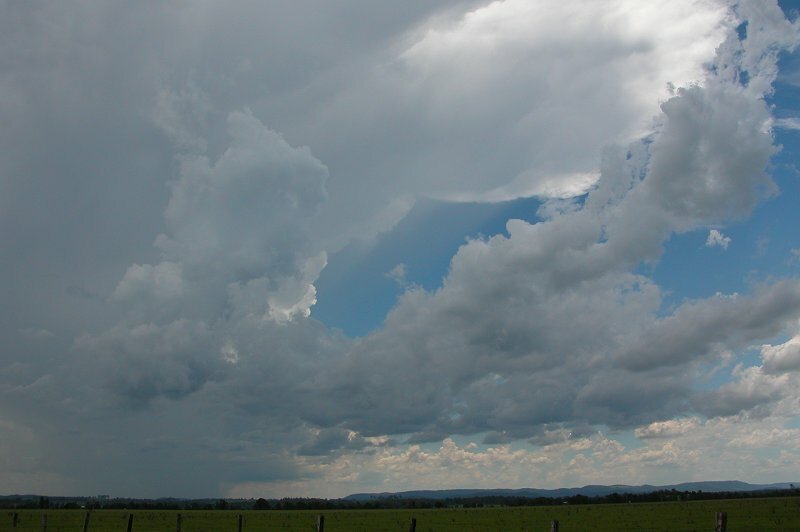 Rodney Wallbridge was near Kyogle, observing the cell from a different angle and kept us updated via radio when new updrafts would go up on the cell. Increasingly stronger looking convection was also occurring to our S.
Despite producing a couple of CGs and some regular thunder, the cell to our west wasn't impressing us much and we were increasingly considering the possibility of intercepting the strong looking activity to our south that was heading NE towards Coraki. 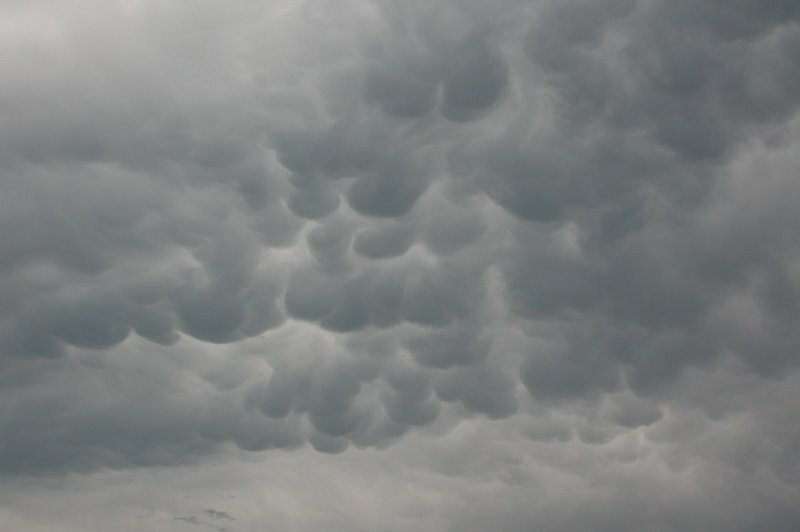 By around 3.00pm the cell to our west looked to be weakening, with a lot of mammatus and a heavier looking rainshaft. 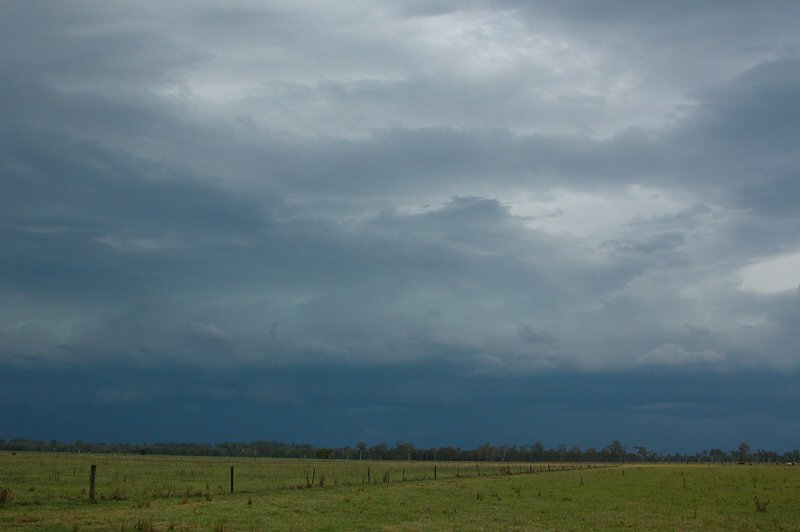 After a radar update from Ray we made the call to head south, leaving Rodney to observe the cell to our west from his position near Kyogle. 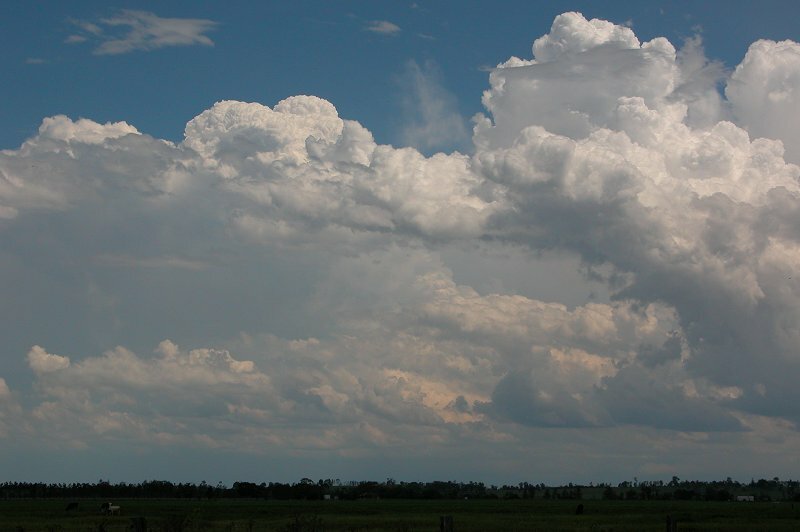 Excitement began to build as we headed for Coraki, with nice strong looking updrafts developing in a line which extended from the cell to our south. 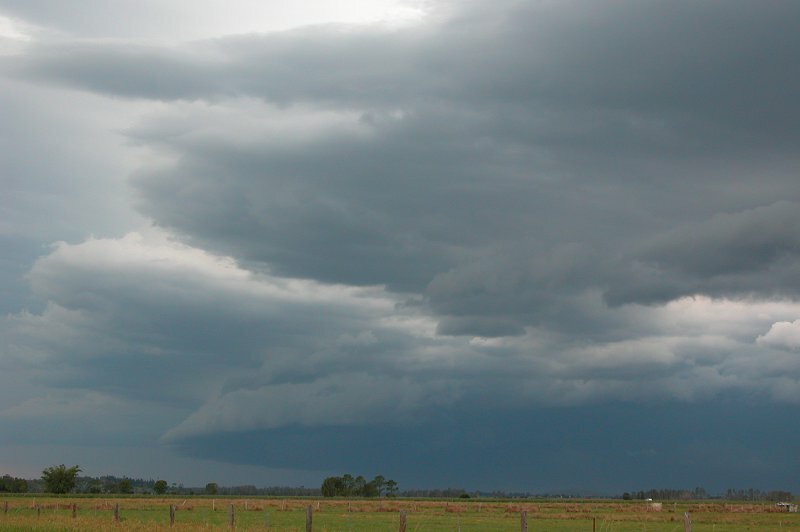 It appeared as though a nice gustfront was going to appear out of the dark as we got closer to the storm. 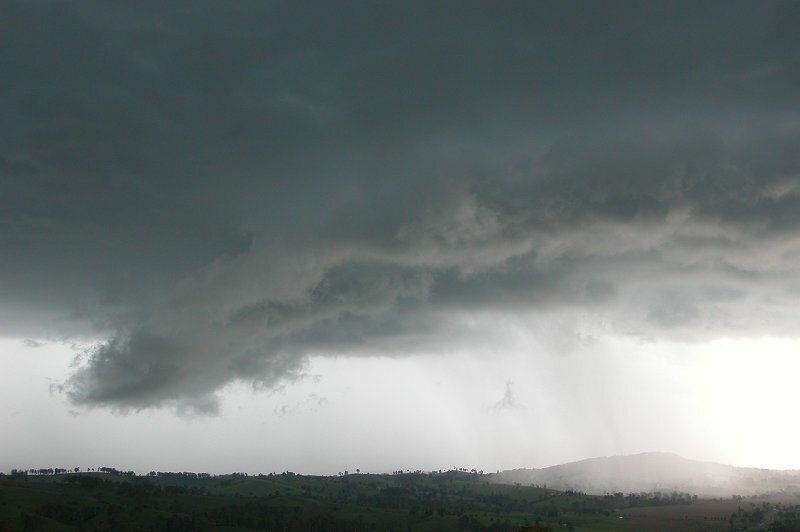 At around 3.40pm we pulled up just N of Coraki to watch the gustfront that was heading NE towards us. It looked ok, but we had expected something a little more well defined. The other disappointment was the lack of both lightning and thunder! We spotted a few CGs and heard a rumble every now and then, but there wasn't a great deal of electrical activity. We continued to watch the storm approach slowly from our position, with the line now extending further inland. We shot south about 500m to get a bit closer to a slightly more defined looking section of the gustfront. 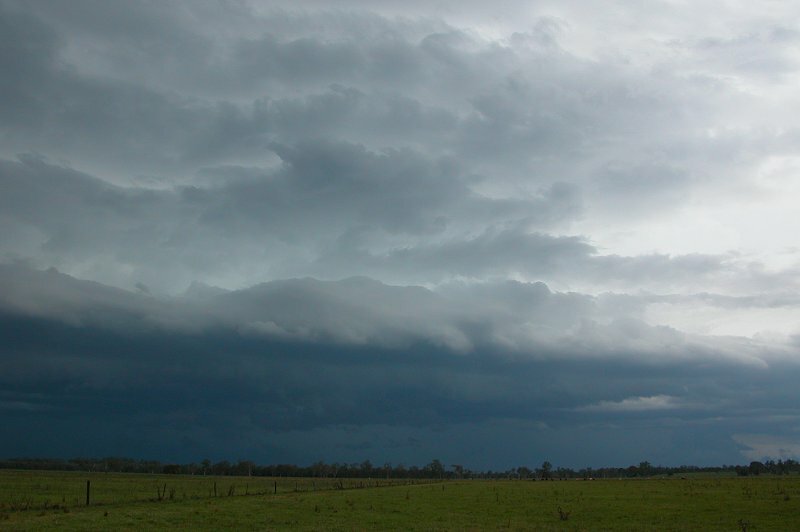 It was now looking a little more impressive and quite dark, but the gustfront was pushing well ahead of the rain curtain. Very strong outflow was also experienced. It appeared the storm was weakening. So we headed south through Coraki to move into the precipitation area. 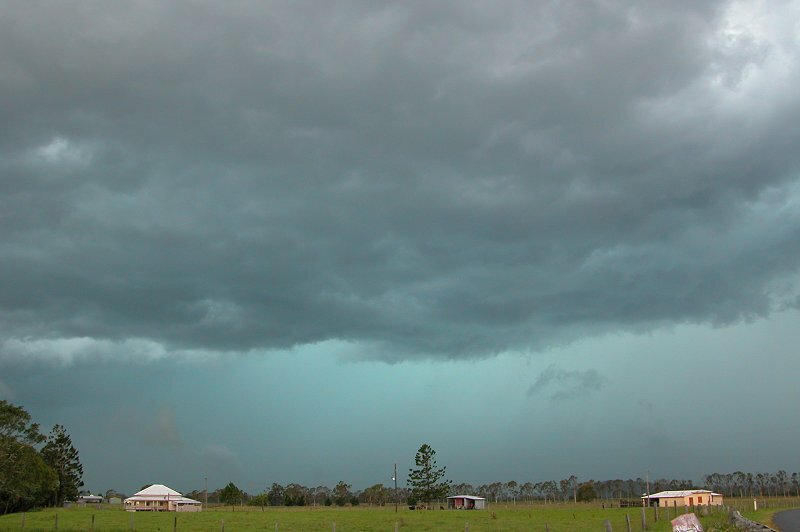 The green tinge in the storm was quite incredible as we got closer, as was the outflow winds which would have been past the 70km/hr mark. We stopped to get a photo of the green tinge, but it was hard to hold the camera still in the wind. It was now 4.05pm. A radar update from Anthony Cornelius revealed that the cell had a solid area of yellow/green/pink, so we were expecting some heavy rain! We finally got into the storm just N of Woodburn! 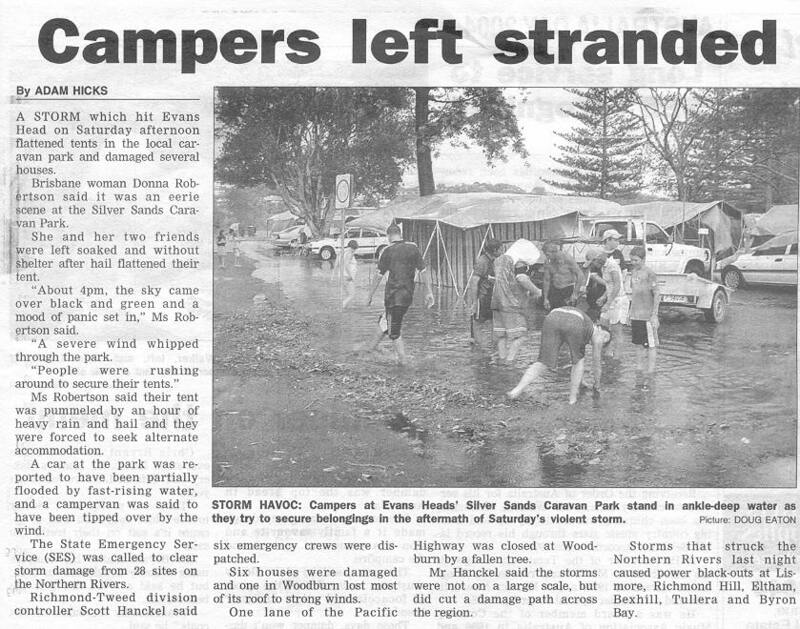 We copped torrential rain and strong winds, which were borderline severe at times! The car was being rocked about in the gusts. The streetlights nearby, which had turned on thanks to the very dark conditions inside the storm, went out again during the strong wind gusts. We endured heavy rain and strong winds for between 5 to 10mins before it eased a little and we headed back towards Casino. Between Coraki and Casino we got a surprise when we received a brief burst of hail - stones were probably around 1cm. 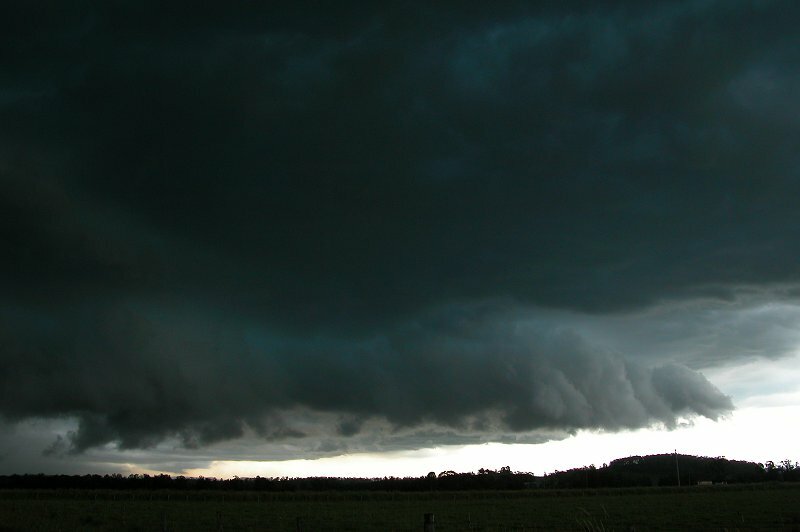 As we got out of the rain and hail we could now see the back of the line that had passed over us. 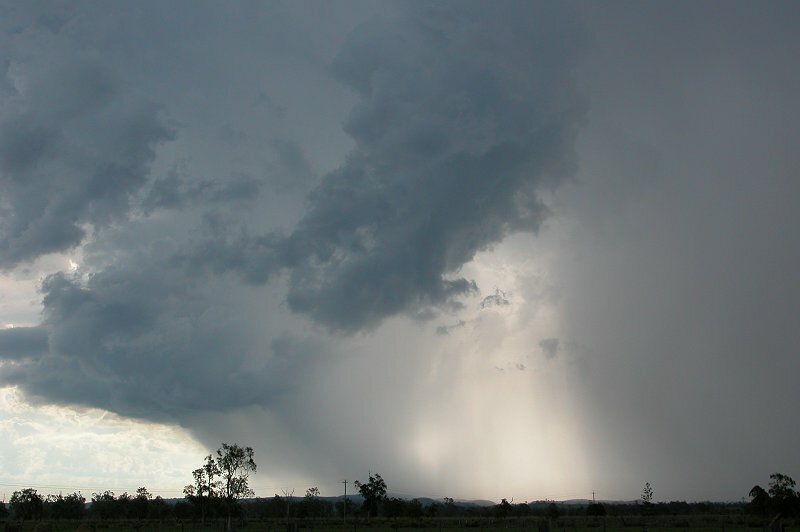 Further convection was occurring west of Casino and Michael spotted a CG, so off we went to see what this cell would do! 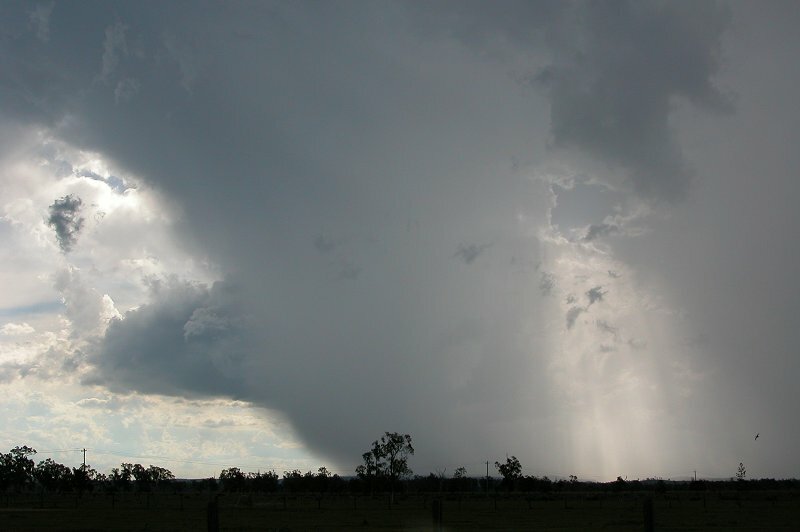 Stopped on the western outskirts of Casino, it appeared as though the cell was splitting, and it wasn't long before the right mover began to weaken. It was quite photogenic despite the weak structure. After this we headed home, quite tired after another days chasing. 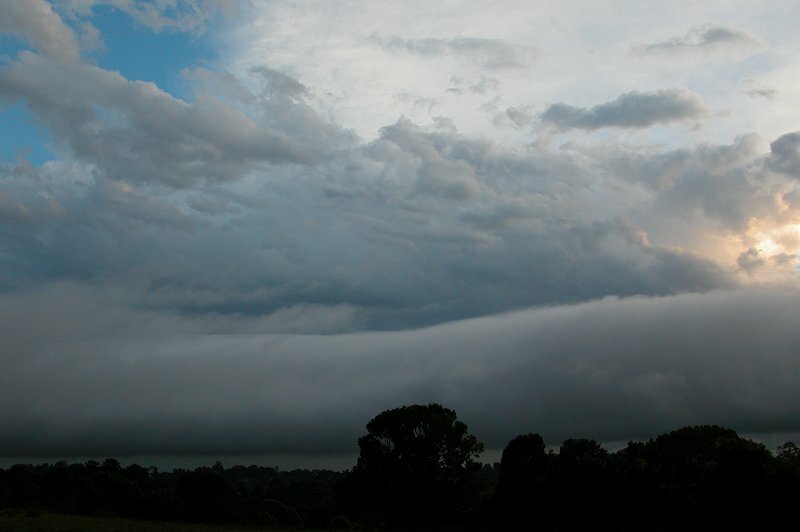 After getting home I observed a great roll cloud move up from the south. 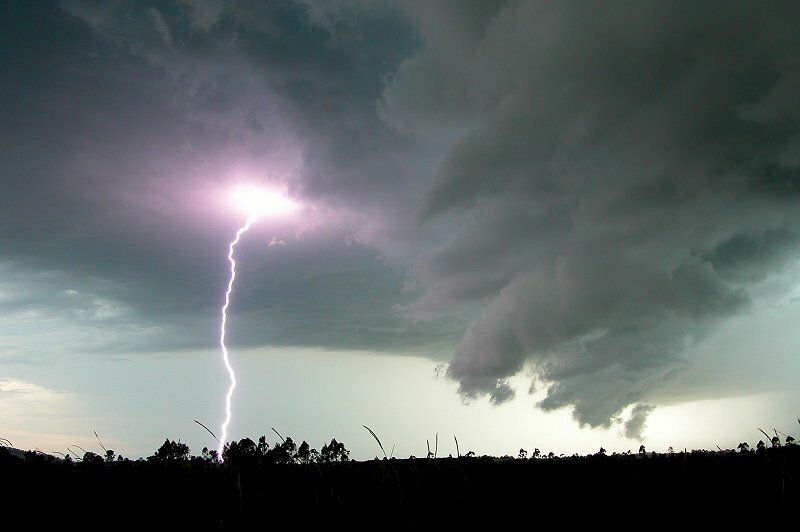 Storms once again continued into the night, however lightning wasn't all that frequent nearby. This was only the beginning of the outbreak! 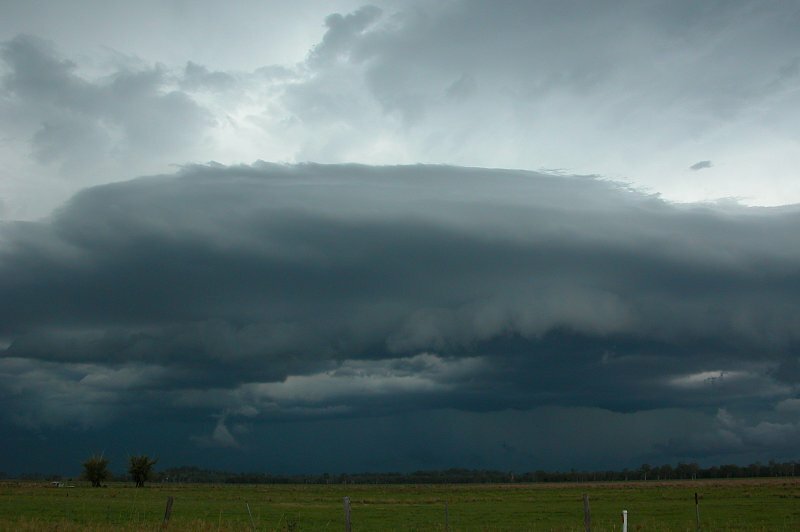 Check out part 2 of this outbreak for the next three spectacular days of chasing!